Quality tonewoods and unique features. 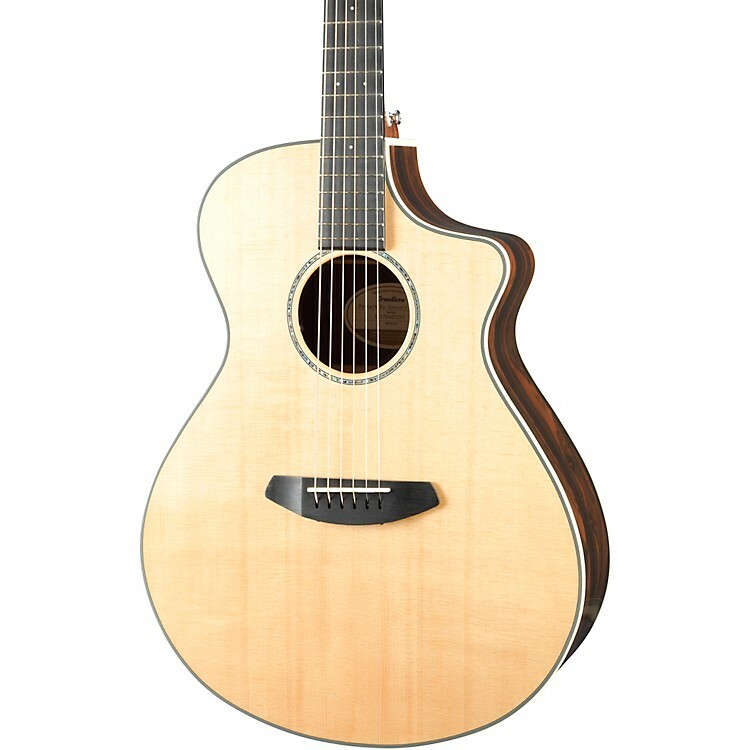 The Breedlove Pursuit Exotic Concert Acoustic-Electric Guitar offers the beauty of Central American Ziricote once only found on high-end USA made instruments. Rare and beautiful Ziricote combined with the great balance of the Breedlove Bridge truss and concert body provides great bass and clarity combined with great balance provided by the Breedlove Bridge Truss system. Plugged in, the LR Baggs EAS System, featuring a USA made quartz piezo, supplies a great acoustic tone while resisting feedback. Includes gig bag. You'll love your Breedlove. Order today.